Set after the events of an alternative Keep Calm and Flutter On. After Discord refuses to remove the chaos from Applejack's farm, he is imprisoned once again in stone, and Fluttershy must deal with loss of new friend with a new promise. 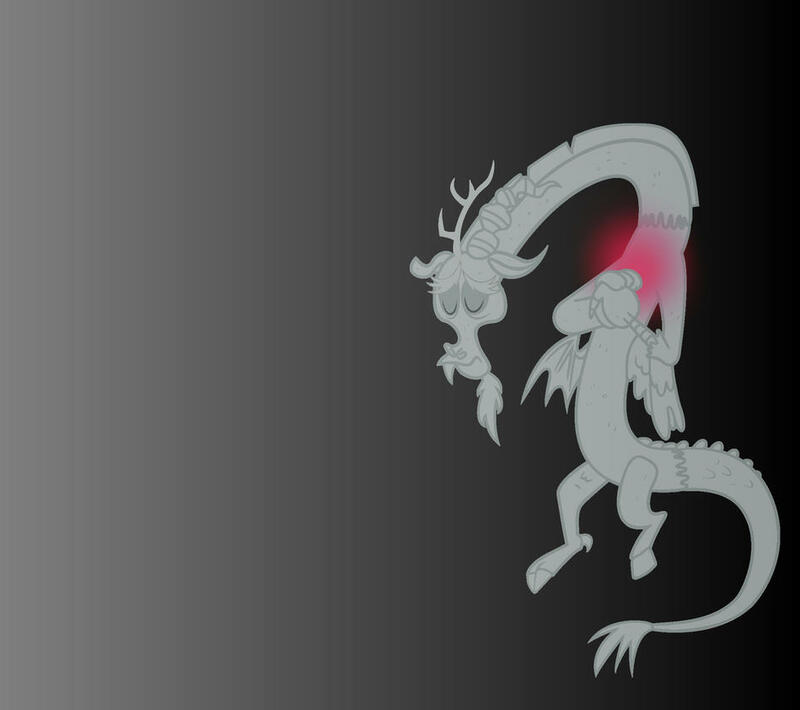 After finding out that Discord is in love with Fluttershy, Princess Celestia decides to help him win her heart. 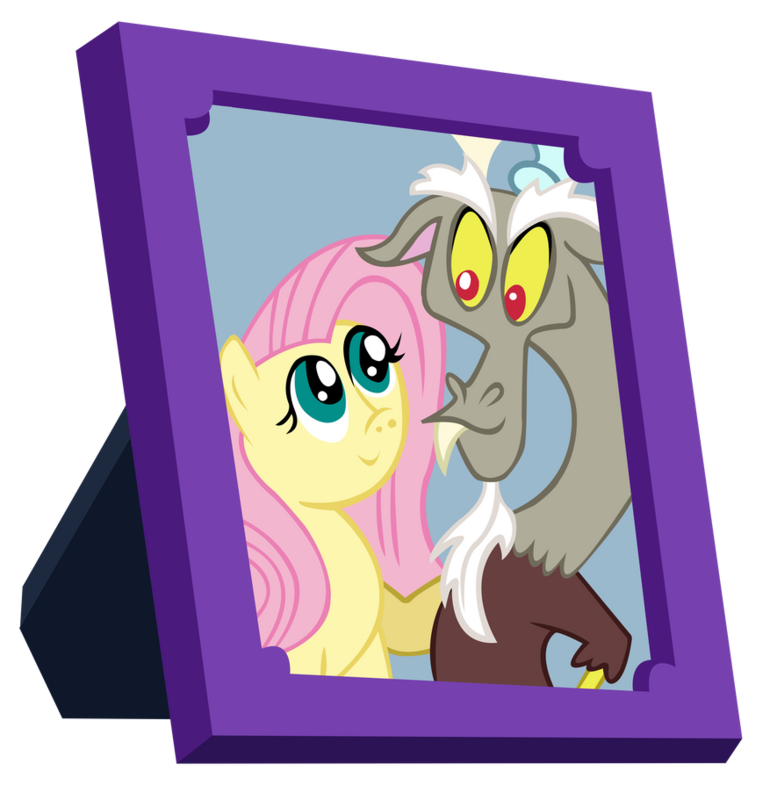 Will Discord win Fluttershy's heart or is it LosersVille for him? Based of the poem "TheHighwayMan" by Alfred Noyes. The HighwayDraconequus (a thief) visits his marefriend Fluttershy at her mothers old inn, but gets spied on by somepony lurking in the shadows who runs off to tell a bigger power about The HighwayDraconequus, then chaos endures when the HighwayDraconequus leaves and Fluttershy has to face it alone. 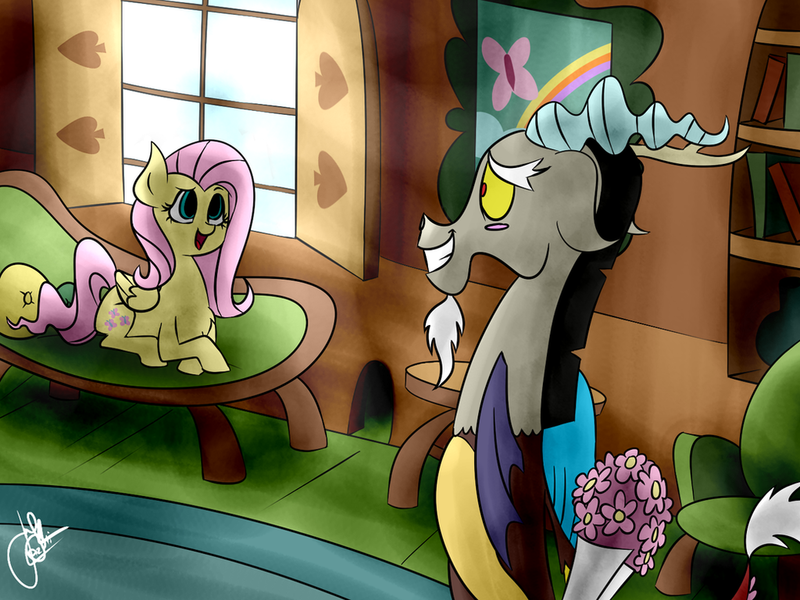 Set after the events of season 4: After realizing that she has feelings for Discord, Fluttershy must figure out if Discord shares the same feelings as her. But her plans goes to waste, when strange blue, cotton candy clouds start to appear.